I noticed its not that popular in West Coast/California. Is it a popular source of information on East Coast? Just want to see opinions. Maybe its more popular on East Coast because its closer to the UK. 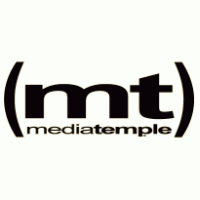 Since 1998, Media Temple has worked with web professionals and creative agencies as they pursue the next big thing. Media Temple delivers a full spectrum of hosting options, each with remarkable performance, convenient management, and live, US-based experts you can talk to any time: Solutions for whatever your team is building next.